Having a water softener or conditioner installed in your house can not only help you to eliminate hard water, but can also help minimize the amount of time you spend cleaning and maintaining your home. Water softeners (also known as water conditioners) are systems that are designed to treat hard water by removing the calcium, magnesium, and other bicarbonate ions that are responsible for its development. Over time, these molecules can precipitate or “fall out” of your water, forming crusty and unsightly buildup that can ruin the look of your sinks, faucets, shower stalls, and water-using appliances. If you’ve ever spent an afternoon (or several) trying to scrub away a layer of soap scum or hard limescale, then the chances are good that hard water is a problem in your home. 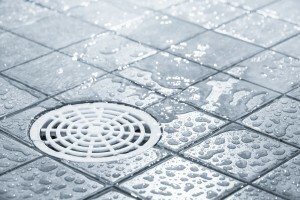 In addition to making cleaning your shower, tub, or sink a time-consuming and irritating affair, excessive hard water buildup can also accumulate inside drains, hoses, and plumbing. Over time, this accumulation can lead to complete blockage and serious damage, costing you money and possibly requiring extensive repair or replacement for the damaged components. The only way to ensure that none of these problems ever affect you or your home is to acquire a water conditioner or softener system, which will address the hard water once and for all. When you turn to RainSoft for a water softener or conditioner, you can expect to receive a premium system that will rapidly correct your home’s hard water. We offer various models, including some that use sophisticated built-in computers to soften water on a demand-generated basis, ensuring that you’ll always have the water that you need when you need it. Plus, since all of our products are Tested and Certified by reputable third party groups like the Water Quality Association, you can rest easy knowing that your new system will function exactly as advertised. To learn more about how our water softener and conditioner systems can help provide you with a permanent solution to your hard water problems, contact your nearest authorized RainSoft dealer today.